Udderly Quiet™ Class A™ Bass Wedge was originally designed to reduce low frequency reverberation within recording studio and anechoic chamber environments, however, it will improve the acoustics within any space that suffers from poor low frequency control. 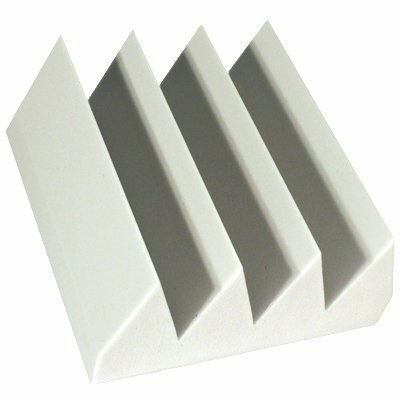 Choose this studio foam product for applications or buildings that require a Class A™ rating for exposed materials. Environments where large numbers of people congregate demand Class A™ products rather than flammable polyurethane foams. 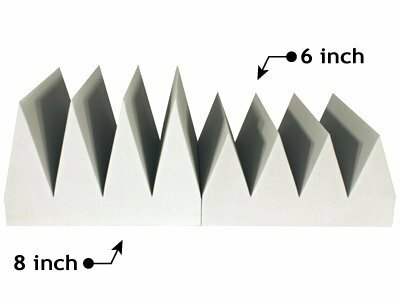 Udderly Quiet™ Class A™ Bass Wedge is a wall mounted sound absorbing panel and has a bold linear pattern that adds architectural interest. This professional grade studio foam product enhances the sound quality of any recording or listening environment. Engineered for performance — Udderly Quiet™ Class A™ Bass Wedge is a thick acoustic foam product with a deep v-cut pattern that traps hard to control bass frequencies. This style of product was originally created for anechoic testing chambers. Class A™ Bass Wedge has a Noise Reduction Coefficient (NRC) equal to polyurethane Bass Wedge products. See acoustic data below. Quality — Udderly Quiet™ Class A™ Bass Wedge Studio Foams are made with the highest quality melamine foam. This foam is consistent in density and firmness so acoustic performance will also be consistent. Ease of Installation — Udderly Quiet™ Class A™ Bass Wedge Studio Foams are light weight and can be attached to a variety of surfaces. 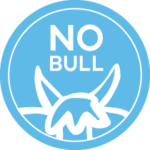 No special tools or materials are needed. Personalization — Udderly Quiet™ Class A™ Bass Wedge Studio Foams are available in bright white and light gray. 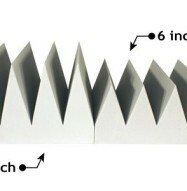 Bass Wedge Studio Foam can be mounted both vertically and horizontally creating an interesting texture. Architectural Interest — The bold linear pattern of the Udderly Quiet™ Class A™ Bass Wedge Studio Foams creates a visually unique and professional environment. Flammability — Udderly Quiet™ Class A™ Bass Wedge Studio Foams are manufactured from melamine foam that has a Class A™ flammability rating. This product passes most building code flammability requirements for exposed materials. Not just for Professional Studios — Udderly Quiet™ Class A™ Bass Wedge Studio Foams can be used almost anywhere low frequency reverberation (echo) is an issue and heat or potential sparks are a concern. This product is heat resistant to 482º F and is able to withstand constant temperatures up to 320º F.